Earlier this year, nearly 4,000 people came out and attended the 2018 New York Tennis Expo. The event kicked off the inaugural New York Open, professional tennis’ return to Long Island. 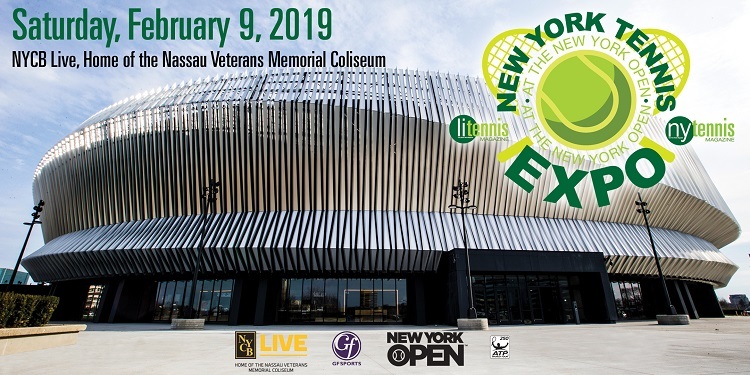 We are pleased to announce that the Expo will return on Saturday, Feb. 9, 2019 at NYCB LIVE, Home of the Nassau Veterans Memorial Coliseum. The 2019 New York Tennis Expo will once again be a free event for all attendees and will have something for the whole family. 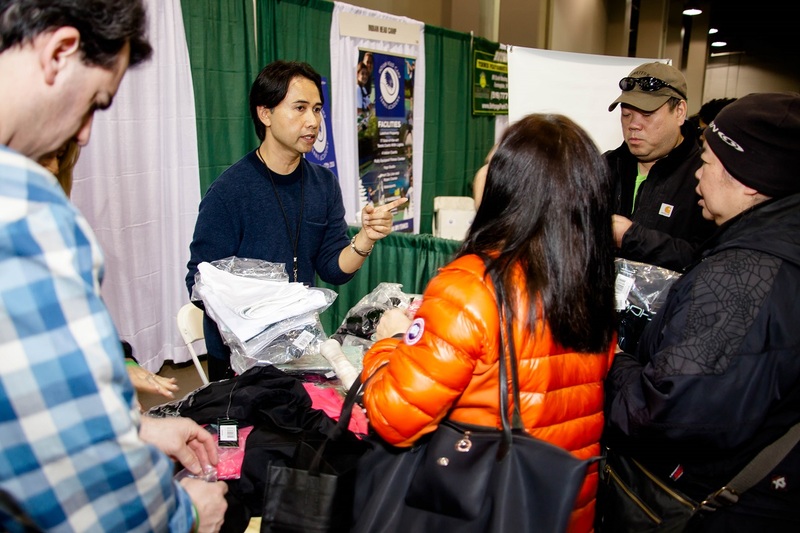 The Exhibitor Hall will be filled with top tennis programs, clubs, academies, camps, product lines, sports medicine, travel destinations and much, much more, plus tons of fun activities throughout the day. As the opening day for the New York Open, the New York Tennis Expo will have professional players on-site signing autographs, practicing on NYCB LIVE’s black courts and taking part in the tournament’s draw ceremony. "We are excited over presenting the New York Tennis Expo and New York Open 2.0 so to speak," said GF Sports EVP and Tournament Director Josh Ripple. 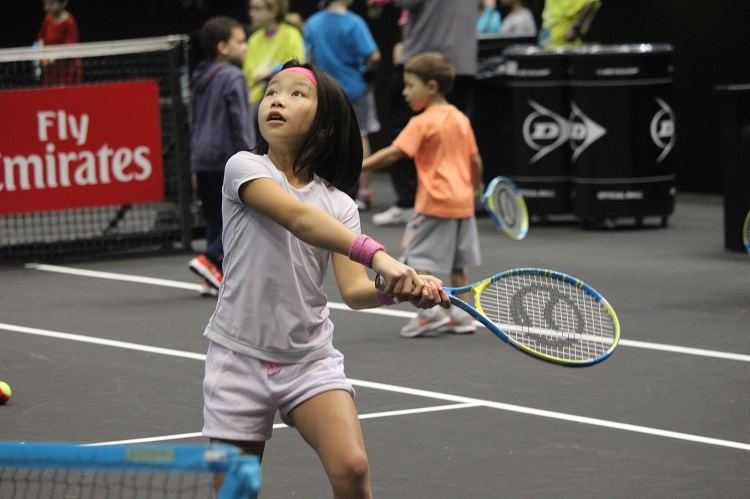 "When we reflect on the 2018 New York Open, it was clear that the New York Tennis Expo successfully seeded the week which afforded kids, adults and sports and recreational companies locally and regionally a chance to be exposed to the new NYCB LIVE, our signature black courts and plain old fun and value that United Sports Publications brought to the party. Working with David Sickmen and his team has been incredibly effective and rewarding, and we look to build the Expo each and every year." There will be a Kids’ Zone featuring a bouncy house, face-painting, music and other games, and an Activity Zone which will host two Net Generation courts, where kids can pick up a racket and play. Tennis teams from local colleges will be giving clinics and running drills all-day long on the court used by the professionals during the New York Open. You can also see how your serve compares with the professionals at the Speed Serve Booth. The popular Beach Tennis court will be back as attendees and guests can get a little taste of summer in the winter by kicking off their shoes and hopping onto the sand. A New York Beach Tennis professional will be on-site to help teach this exciting new sport. Attendees will have the opportunity to learn from some of the top tennis minds in the two different Speaker Sessions that will take place in NYCB LIVE’s Grant Thornton VIP Lounge, and the latest in tennis apparel will be on display in the Tennis Fashion Show. This is the largest free tennis expo in the country and will once again have something for everyone. For FREE tickets and parking, pre-register online at 2019NYTennisExpo.EventBrite.com. For more information, or to learn about sponsorship opportunities, please contact info@usptennis.com or call (516) 409-4444.